I work on an oncology unit in a large metropolitan hospital as a senior nurse, supervising several RNs and nursing assistants who care for many seriously ill patients. Although most of the care we provide supports their recovery, we also lose many patients each week, some of whom are offered palliative care services on the unit. Even though the typical stay is brief, readmissions are common, and we get to know many patients and their families well across a period of months and years. This makes it hard when patients die, as many inevitably do, and I fear that many of my staff are experiencing an accumulation of grief, stress and burnout, which seems to be contributing to several staff members missing work or leaving for other units with less mortality risk or quitting the profession altogether. I have to confess that I myself have sometimes felt a wave of emotion and had to suppress tears when I learned of the death of some patients I have grown fond of, or when I encountered the weeping family afterward—especially when they included children. My question is, is this normal? And is there anything we can do about it, aside from just try to deal with it and move on? The hospital is a demanding environment, and I understand the limits of time for self-care, but I sense that there must be a better way to deal with patient loss than we have at present. First, I have to say that I applaud your candor, as well as your sensitivity to the impact of patient death on the nurses serving under and around you. The stress associated with multiple patient losses is a common issue in oncology and other healthcare settings with high risk of mortality, but the pace and demands of the hospital typically leave no time and no venue for self-care, and even less for mutual support in the face of this major contributor to burnout and compassion fatigue, as well as absenteeism. Symptoms of burnout can be physical (feeling tired and drained at work), cognitive (being too exhausted to think clearly or finding it hard to concentrate) or emotional (being unable to be sensitive or responsive to the psychological needs of patients and their families). Nearly half of all oncology nurses have been found to report burnout in these terms. What can be done about this common and serious problem? Some factors that we have found in our research to protect against burnout in palliative and bereavement care are personal, such as more frequent daily spiritual experiences (feeling connected to the divine or being thankful for one’s blessings), whereas others are both personal and institutional (such as the amount of training one has had in psychosocial dimensions of end-of-life and bereavement care). Interestingly, whereas both spirituality and training seem to buffer against physical and cognitive burnout, only spiritual experiences appear to protect professionals from its emotional aspects. But as important as these background factors are, the question remains of what can be done on the unit to mitigate the grief-rated distress of staff. Here, it is encouraging that some practices are gaining wider implementation in a great range of hospital settings, especially in the US and UK. One such is the Schwarz Round, a multidisciplinary gathering of physicians, nurses, psychologists and allied health professionals involved in patient care in critical settings, especially those characterized by frequent patient death. In a minimally structured environment, professionals meet on a “level playing field” to discuss their ethical dilemmas, questions and feelings regarding the treatment of patients with serious illness or injury, especially in the wake of their death. Although learning certainly occurs in the open discussion than ensues, the central goal is expression of personal reactions to the work that otherwise have no institutional outlet, in the presence of mutual support and compassion on the part of professional peers. 4. Reminiscence on the part of participants about patients who have died recently under their care, perhaps using a structure like, “I would like to remember…. She was important to me because….” These can be sad, humorous or uplifting, as the speaker prefers (25 minutes in total). As implied but the inclusion of the music, readings and blessing, the ritual has a spiritual aspect, though this does not invoke any deity or any particular faith or tradition. The ceremony requires careful time management, as most staff must return immediately to work afterwards, and the time-limited structure supports this goal. Impressively, preliminary research on staff reactions to the ritual suggests that it is highly effective, especially in the reminiscence and blessing components, in giving staff an opportunity to honor their losses, express their grief, and feel validated in their role as care providers. While Schwartz Rounds and Popkin’s work represent merely two of a potentially large range of creative responses, they illustrate how multidisciplinary collaboration in the construction of practices and rituals could go a long way toward reducing the risk of burnout in critical care settings. 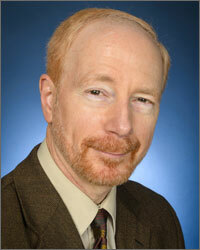 Robert A. Neimeyer, Ph.D. is one of the foremost authorities on grief and bereavement. He is a Professor of Psychology at University of Memphis where he also maintains an active clinical practice. He has published 27 books, including Techniques of Grief Therapy: Creative Practices for Counseling the Bereaved and Grief and the Expressive Arts: Practices for Creating Meaning. He also serves as Editor of the journal Death Studies. The author of over 400 articles and book chapters, and a frequent workshop presenter, he is currently working to advance a more adequate theory of grieving as a meaning-making process. Dr. Neimeyer served as President of the Association for Death Education and Counseling (ADEC) and Chair of the International Work Group for Death, Dying & Bereavement. I appreciate so much offer some concrete examples as well as hearing the feelings of the person who is asking for your advice. It’s a lovely gift that you have and I’m sure it helped Joyce T.
I have never met a nurse I didn’t like. Nurses, it seems to me, have an important calling: tending to the body as well as the spirits of their patients. It is a calling of mercy. Joyce is in a particularly demanding form of nursing: tending to the seriously ill cancer patient. When she hears a patient has died and cries that says something tender about her. I would say her patients were gifted to have had her presence and care because she was attached to them. Patients and families feel that and it helps. I’ve been on the receiving side and it made all the difference to me. But we also know there is a cost to attachment when it ceases – it is painful, these losses. And yet, to not attach would make the work only a labor. And losing a child patient must be an agony for all staff involved. Little ones have a bravery that defies all explanation. They touch our spirits and we never forget them. I think that alignment is deeply spiritual and fortifying. I have found it beneficial for myself to book an occasional facial. I make the time. I save my quarters. This is different than a massage in that the face is an intimate place. The first time I experienced a facial I cried and sometimes I still feel like that because it is sensate experience as well as a spiritual one for me. The women I have gone to over-the-years seem like angels to me and sometimes I look up and see their eyes closed with a small smile on their lips. I’ve asked, “are you blessing me.” Each one has responded yes. Care giver note: take care of yourself; the fuller your own vessel the more you will feel you can still pour out. Robert A. Neimeyer, Ph.D.M is one of the foremost authorities on bereavement and grief. We are honored to introduce a new feature to AfterTalk, a weekly question and answer column authored by Dr. Neimeyer. For a full biography of Dr. Neimeyer, or to visit his personal website, please click here. We invite you to ask questions with the security of anonymity and confidentiality. Simply email your question to Ask@aftertalk.com. The contents displayed within this web page, such as text, graphics, and other material ("Content") are intended for educational purposes only. The Content is not intended to substitute for professional advice, diagnosis, or treatment. Always seek the advice of a professional provider such as a grief counselor, therapist, psychiatrist, or psychologist with any questions you may have regarding your condition. Never disregard professional advice or delay seeking it because of something you have read in a website.